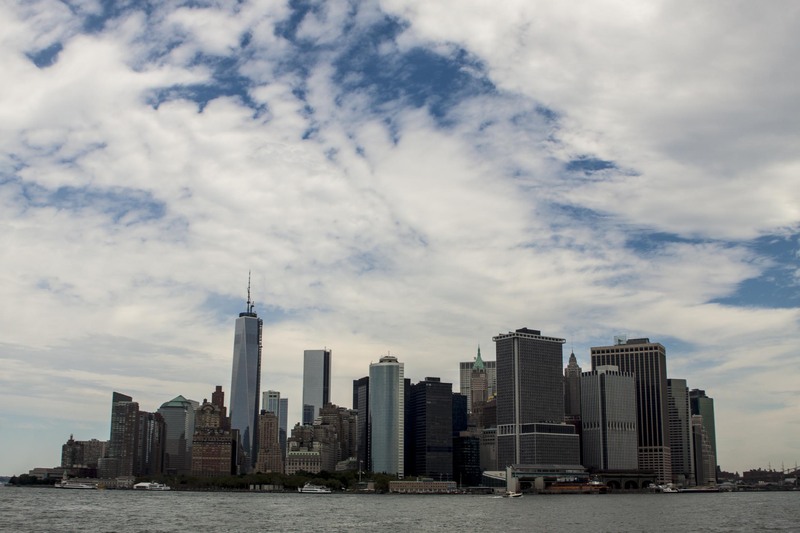 The fourth annual New York City Poetry Festival on Governors Island is almost here! Augury Books will be reading on the White Horse Stage at 4pm on Saturday, July 26, with Frances Justine Post (BEAST, 2014) and B. C. Edwards (TO MEND SMALL CHILDREN, 2012). Admission to the festival is FREE, so there’s absolutely no reason to miss out! 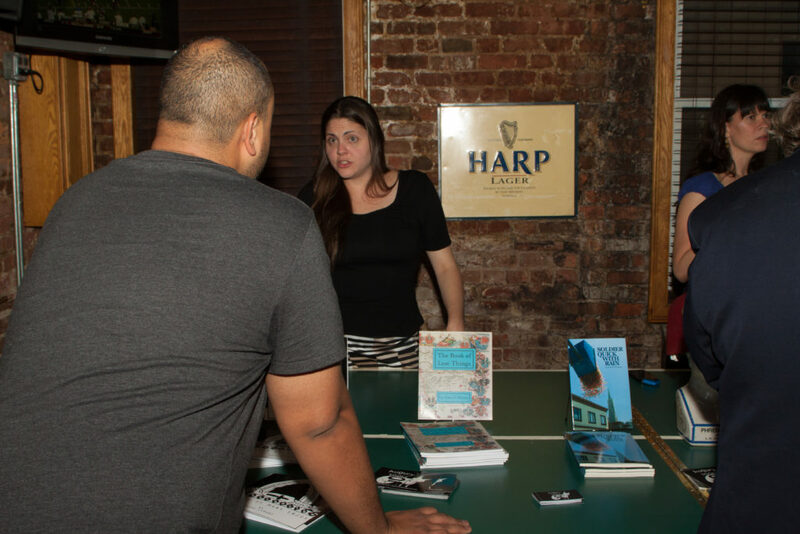 The NYCPF is put on by the Poetry Society of New York and features a worldclass lineup including Mark Doty, Matthea Harvey, and Joyelle McSweeney, along with over 250 poets on three stages. The festivities will take place on both Saturday and Sunday from 11am to 6pm. Come for the readings, performances, Vendor’s Village (where you can discover new poetry as well as your old favorites), artists, craftsmen, and food trucks! Check out the press release for more info, or visit the festival’s website for more information. 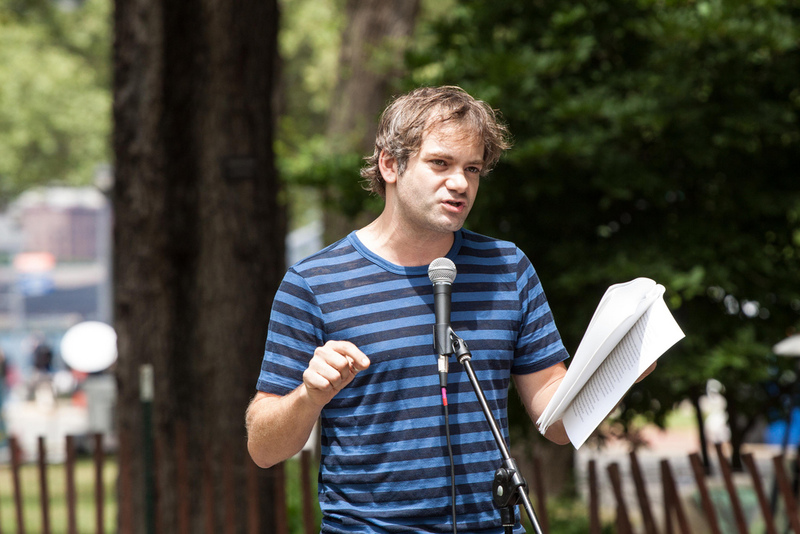 The New York City Poetry Festival, put on by the Poetry Society of New York and organized by Stephanie Berger and Nicholas Adamski, will celebrate its 4th year on July 26th and 27th, with two full days of readings on three stages at Governors Island. This year’s line up includes Mark Doty, Matthea Harvey, and Joyelle McSweeney, as well as readings organized by The Academy of American Poets, Coldfront Magazine, and The Poetry Project, among many others. 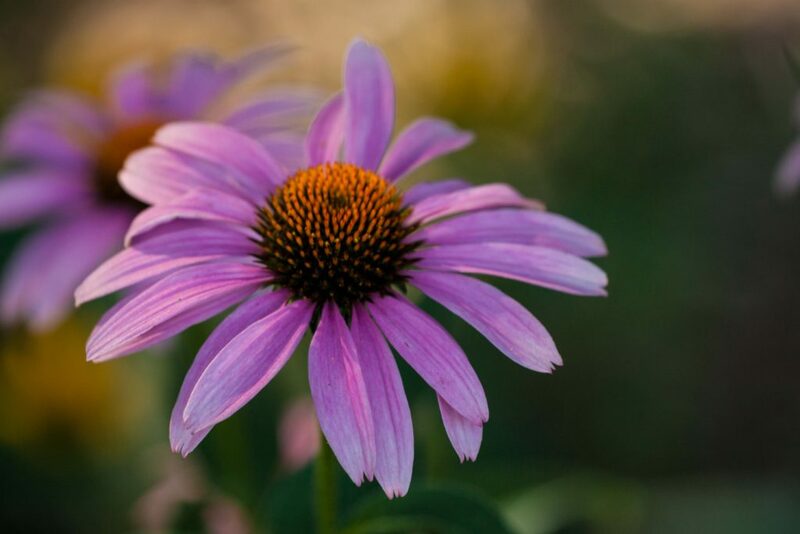 Join the festival both Saturday and Sunday between 11 AM to 6 PM, with a Vendor’s Village of booksellers, artists and craft makers, and food truck catering. Augury Books will be reading on Saturday at 4 PM on the White Horse stage, with Frances Justine Post (BEAST, 2014), David Joel Friedman and B. C. Edwards (TO MEND SMALL CHILDREN, 2012). Admission is free — don’t miss out! Check out the press release for more info, or visit the Festival’s website for a full line up of each day, directions, and any additional info. Read the whole review by Daniel Leary via the American Book Review here. 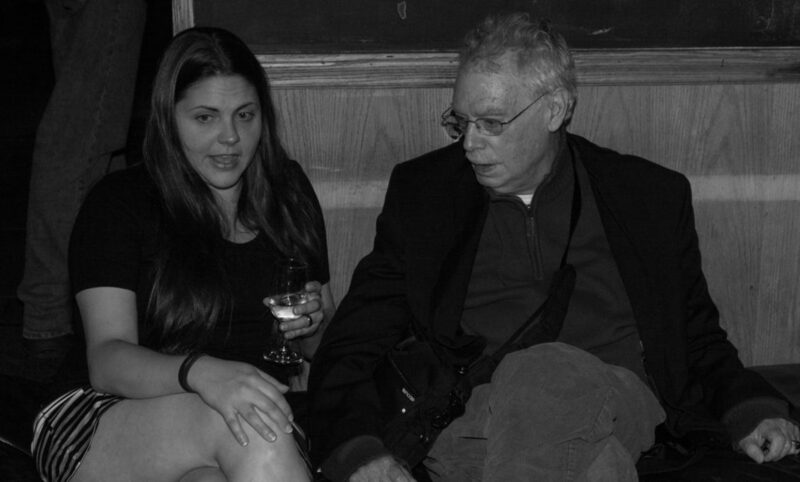 The Poetry Society of New York needs your help to make the 2014 New York City Poetry Festival happen. The festival, which just launched its beautiful new website, is running its annual Kickstarter campaign for the event. If the festival can meet its goal, the 2014 annual event will be held Saturday and Sunday, July 26th and 27th, on Governors Island. 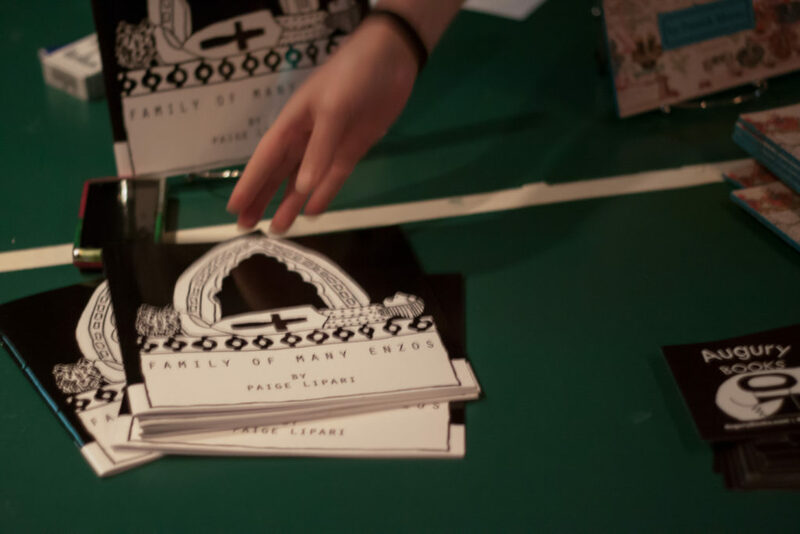 More than 60 poetry organizations, small presses, reading series and other collectives will present over 250 poets, including headliners (brought to you by the Poetry Society of New York), Paul Muldoon & the Wayside Shrines, Mark Doty, Joyelle McSweeney, and Matthea Harvey. 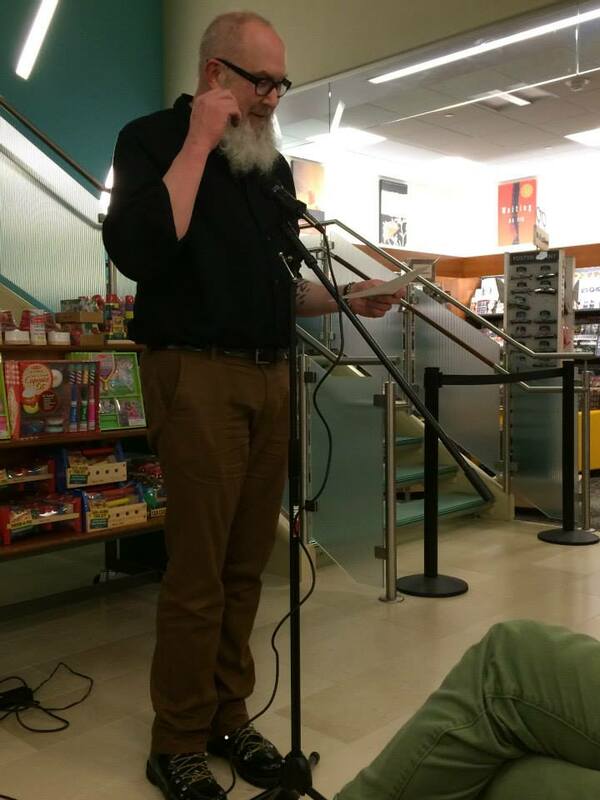 Augury Books, with readers Frances Justine Post (Beast, 2014), David Joel Friedman (Soldier Quick with Rain, 2013), and B.C. Edwards (To Mend Small Children, 2012), will be at the White Horse Stage on Saturday, July 26th at 4 p.m.
Go here for a complete lineup. 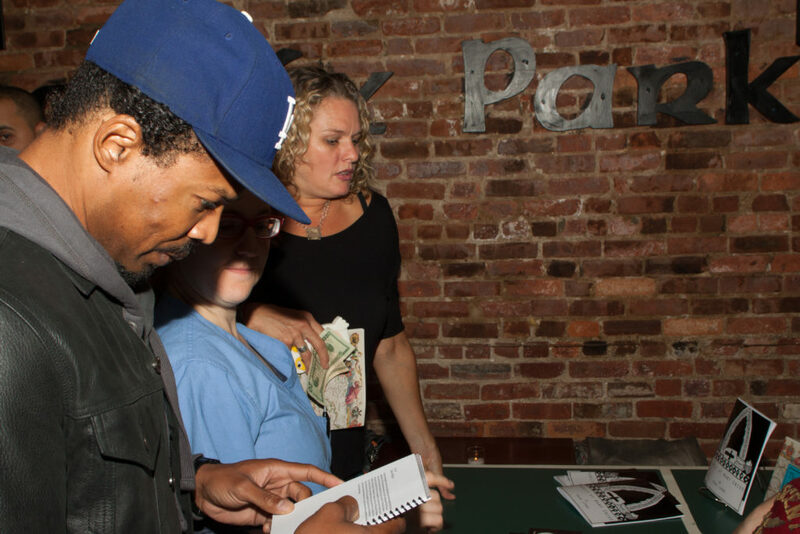 The New York City Poetry Festival is volunteer-run, and all funds raised from the Kickstarter will go towards the rental of stages, sound systems, generators and tents; paying for security fees, liability insurance, licensing fees, and other safety precautions; and the purchase and transportation of other equipment to and from the island. The Kickstarter concludes on Friday, May 16th. Please support the festival with a donation today! This time of year, everyone is in the giving spirit. More importantly, everyone has various giftees they need to cross off of an ever-expanding list. For a short time at a 35% discount, you can give the gift of poetry while supporting Augury Books and the literary arts. Expand your own collection or help beef up the bookshelves of your aspiring-writer niece or your poetry-loving boyfriend. Trying to think of an original gift for colleagues in your office that will entertain and impress? Voila. Love the idea, but already have our catalogue? Bravo! You can still help spread literary cheer. Share this with friends and (continue to) support the arts. As always, to keep receiving posts such as this, follow our blog by clicking in the bottom right corner of this page. *International shipping not included in special. Please contact us for international shipping rates. Sorry, no Amazon orders for this special! **For receipt before 12/25/13, place order before end of business day 12/19/13. 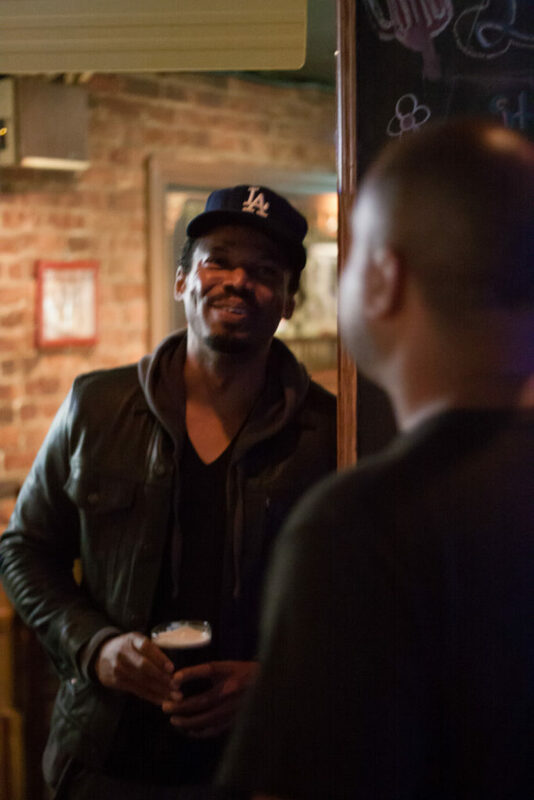 Last Thursday night, Augury board and friends kicked back over a few pints with the good people of Phoenix Park in New York. Drink specials, a book sale (thank you all! ), and hours of good conversation later, we were already speculating about turning this into a fine, lasting tradition. Thanks to everyone (esp. 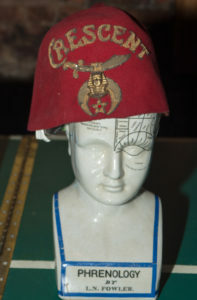 David Joel Friedman, Viv for her Shriners fez and Phrenology bust, and Dave Bledsoe of FreeVerse Photography for the wonderful pics) for joining the party, lifting a beverage, and building your book collection. Won’t be long until we have two more to add to it …. We’ve got you covered. “Going to the Third Annual New York City Poetry Festival, hosted by the Poetry Society of New York, on Governor’s Island,” you can say. Why? 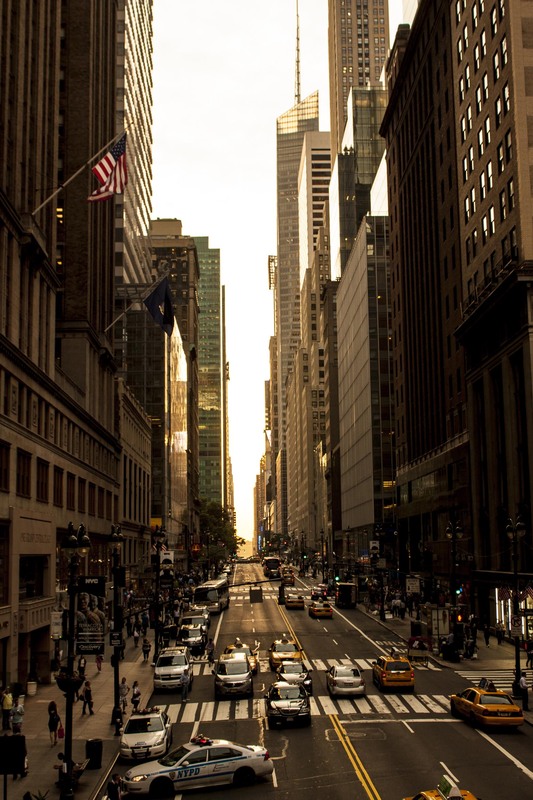 Because, hopefully, you are just as excited as we are for the two-day celebration of New York’s dynamic poetry scene. Yes, Augury will be there! Our own B. C. Edwards (To Mend Small Children), David Joel Friedman (Soldier Quick with Rain) and Paige Lipari (Family of Many Enzos) will be reading Sunday (July 28) at 1:30 p.m. on the White Horse stage. 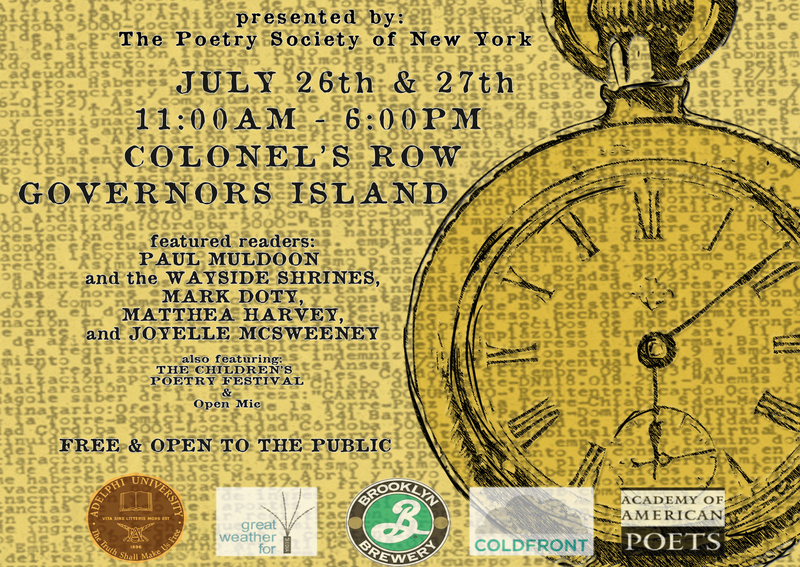 Find out all you need to know at the Poetry Society of New York’s website, including the lineup of over 50 poetry organizations and 200 poets, the times and locations of each reading, and transportation info to and from Governors Island. 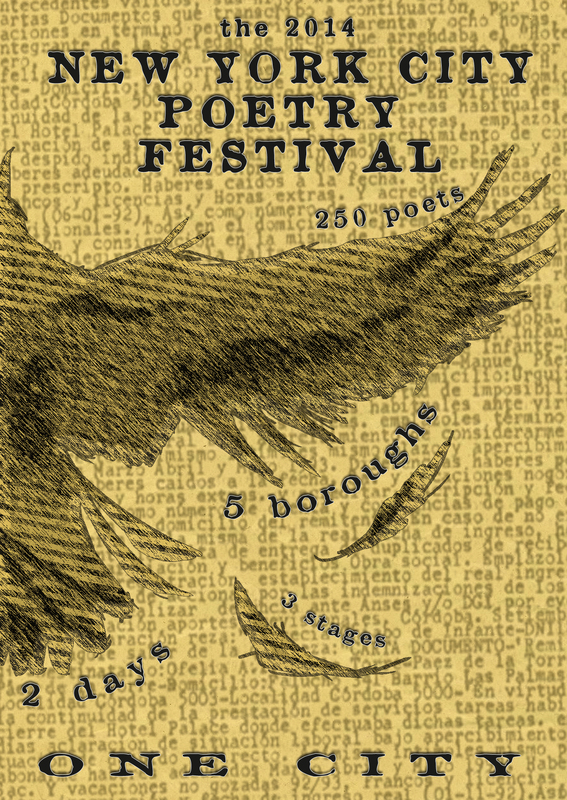 Also, check out Coldfront’s fabulous NYC Poetry Festival Preview, featuring interviews from many of the presses, journals, and organizations that will present at the festival — including one from Augury! 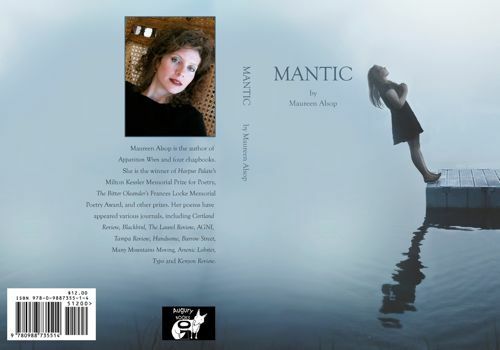 We know how much you love poems, new books, and looking forward to stuff, so we wanted you to be the first to know about our upcoming launch party on Monday, February 25, 2013. We will be celebrating (and selling!) the brand-new, hot-off-the-presses Soldier Quick with Rain by David Joel Friedman, the winner of this year’s Editor Prize, and Mantic by Maureen Alsop. 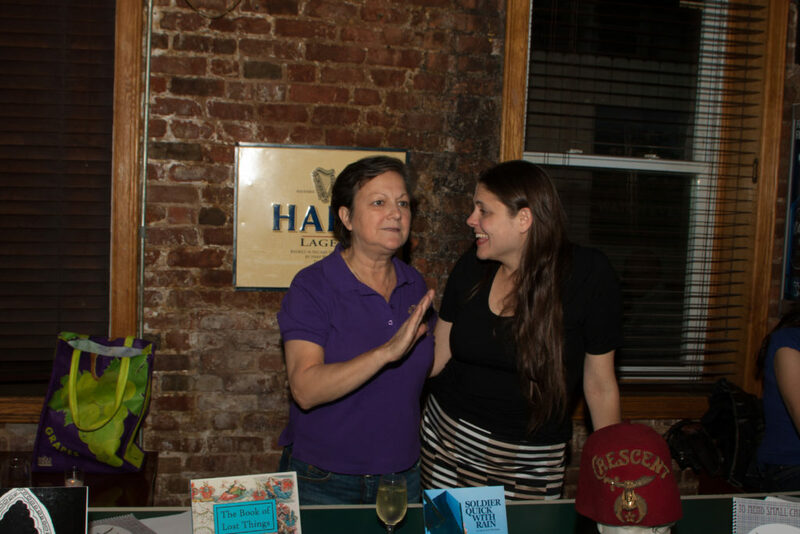 We promise poetry readings, drink specials, friendly faces, handshakes, hugs and … did we mention NEW BOOKS? 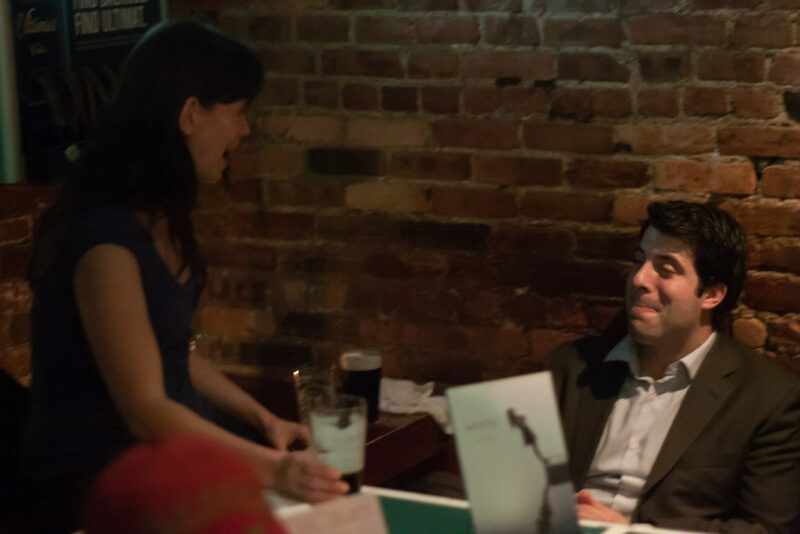 … all in the cozy back room of Botanica Bar on Houston Street in Manhattan at 6:30 p.m. You can RSVP to our Facebook invitation. While you’re at it, Like us on Facebook to continue receiving updates, and, if you’re feeling really ambitious, you can follow this WordPress blog by clicking in the right corner below and stay informed that way. We would also like to extend another mammoth and monolithic thank you to anyone and everyone who supported these books and other upcoming Augury endeavors during our Indiegogo campaign, be it with donations, word-of-mouth, moral support or good vibes. You are dazzling and darling individuals. 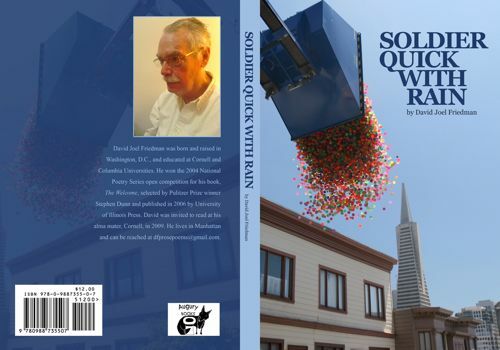 To pre-order Soldier Quick with Rain and Mantic, click here. RSVP to our book launch party on Facebook here.